IPL 2018, Match-12: Live cricket streaming of Kings XI Punjab (KXIP) vs Chennai Super Kings (CSK), Indian Premier League (IPL) 2018 match at the I.S. Bindra PCA Stadium in Mohali. 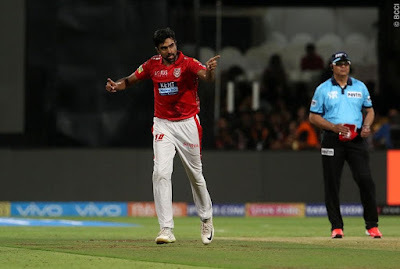 KXIP captain Ravichandran Ashwin would be hopong that his in-depth knowledge of how CSK work would help him in getting one past his former franchise, which would be sweet revenge indeed. However, Mahenda Singh Dhoni would not provide any such hospitality. Chennai Super Kings (CSK) will be looking to extend their winning momentum when they face Kings XI Punjab in Indian Premier League (IPL) match on Sunday. The MS Dhoni-led side have won their first two matches and they will aim to make short work of KXIP who have two points from two matches. 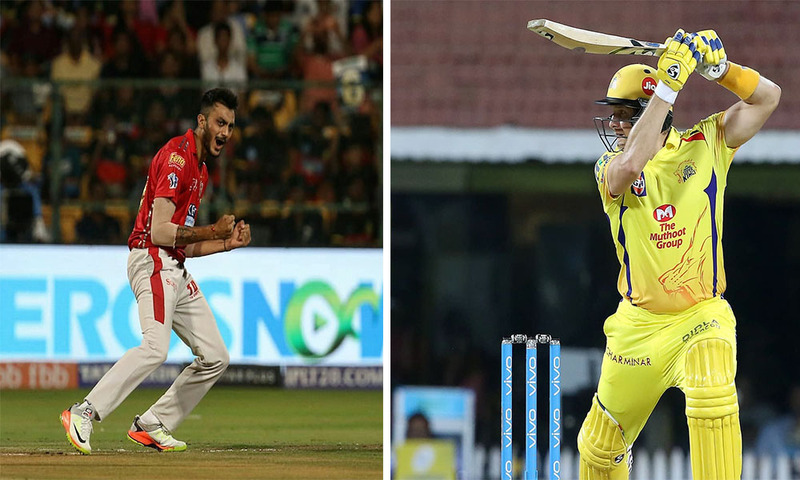 The likes of Dwayne Bravo and Sam Billings are in red-hot form for the Mahendra Singh Dhoni-led team. 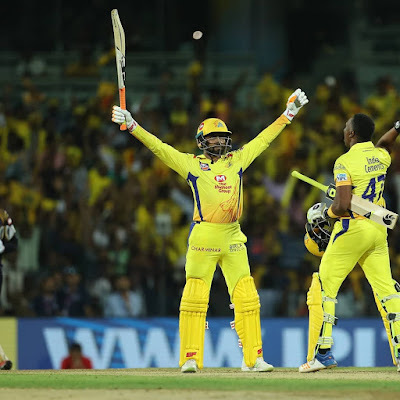 CSK won their first game thanks to a brilliant all-round display by Dwayne Bravo and they should thank Sam Billings for a stunning victory over the Kolkata Knight Riders on their return to their den in Chepauk. CSK have enough depth in their batting line-up with the likes of Dhoni, Suresh Raina, Ravindra Jadeja, Faf du Plessis, Shane Watson, Kedar Jadhav, Ambati Rayudu, Billings and Bravo. The spin trio of Harbhajan Singh, Jadeja and Imran Tahir can be a potent force as they are complemented by Deepak Chahar, Watson and Shardul Thakur. On the other hand, Punjab's bowlers are doing a fine job with 17-year-old spinner Mujeeb-ur-Rahman surprising the batsmen with his unconventional deliveries. He was even rewarded with the prize wicket of RCB skipper Virat Kohli. Ashwin has been in good form with his bowling and has contributed with the bat as well. The team, however, have been plagued by injuries to their star players. Kedhar Jadhav got injured in the first game and has been ruled out for the entire duration of the IPL. Raina got injured in the second game and has been ruled out for the next two games and hence changes are expected for their game against Punjab. Kings XI Punjab (KXIP) vs Chennai Super Kings (CSK), Indian Premier League (IPL) 2018 will start at 8:00 pm IST. Kings XI Punjab (KXIP) vs Chennai Super Kings (CSK), Indian Premier League (IPL) 2018 match will be broadcast on Star Sports 1, Star Sports 1 HD, Star Sports Select 1 and Star Sports Select 1 HD in English Commentary. It will also air on Star Sports 1 Hindi and Star Sports 1 Hindi HD in Hindi commentary and IPL online free live streaming will be available on hotstar.com and Jio app. On Sunday night, the Kings return to Mohali where they host the Chennai Super Kings, and it is expected to be a high voltage clash. The Kings XI Punjab (abbreviated as KXIP) are a franchise cricket team based in Mohali, Punjab, that plays in the Indian Premier League. Established in 2008, the franchise is jointly owned by Bollywood actress Preity Zinta, Wadia Group scion Ness Wadia, Dabur's Mohit Burman and Saptarshi Dey. Kings XI Punjab (KXIP) team 2018 players list is placed below. Kings XI Punjab owner: Jointly owned by Bollywood actress Preity Zinta, Wadia Group scion Ness Wadia, Dabur's Mohit Burman and Karan Paul. The Chennai Super Kings (often abbreviated as CSK) are a franchise cricket team based in Chennai, Tamil Nadu, which plays in the Indian Premier League (IPL). Chennai Super Kings (CSK) team 2018 players list is placed below. The logo of KXIP has the lions, which show aggression, on the shield having the team name Kings XI Punjab . The shield depicts the power of character and fortitude of the conqueror - the qualities which each player of the KXIP possesses. Young, vibrant and ready to conquer the world – This is the message the logo highlights through its design. The KJHPH band in the logo represents J&K, Himachal, Punjab and Haryana and represents the spirit of the people of these regions. The team CSK was named after the rulers of the Tamil Empire along with the India Cements’ brand “Coromandel King”. 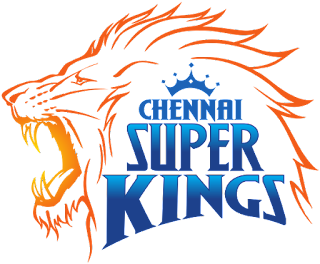 The logo of the golden roaring lion depicts the king of the jungle, with the crown having the team name Chennai Super Kings. Youth, vibrancy, solid performance orientation and fiery spirit are the things which the logo signifies.